Last week we slowly migrated Structured Dynamics‘ Google Code Projects to GitHub.We have been thinking about moving to GitHub for some time now, but we only wanted to move projects to it if no prior history and commits were dropped in the process. One motivation for the possible change has been the seeming lack of support by Google for certain long-standing services: we are seeing disturbing trends across a number of existing services. We also needed a migration process that would work with all of our various projects, without losing a trunk, branch, tag or commits (and their related comments). It was not until recently that I found a workable process. Other people have successfully migrated Google Code SVN projects to GitHub, but I had yet to find a consolidated guide to do it. It is for this last reason that I write this blog post: to help people, if they desire, to move projects from Google Code to GitHub. The protocol outlined below may appear complex, but it looks more intimidating than it really is. Moving a project takes about two to five minutes once your GitHub account and your migration computer is properly configured. 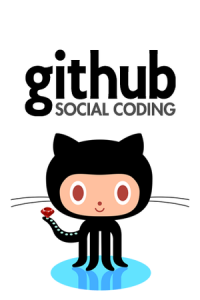 If you don’t already own a GitHub account, the first step is to create one here. The next step is to configure the computer that will be used to migrate the project. For this tutorial, I use a Ubuntu server to do the migration, but any Windows, Linux or Mac computer should do the job if properly configured. Before migrating your project, you have to link the Google Code committers to GitHub accounts. This is done by populating a simple text file that will be given as input to svn2git. Then, for each author, you have to add the mapping between their Google Code and GitHub accounts. If a Google Code committer does not exist on GitHub, then you should map it to your own GitHub account. When you are done, save the file. Now that set up is complete, you are ready to migrate your project. First, let’s create the folder that will be used to checkout the SVN project on the server, and then to push it on GitHub. Make sure that no errors have been reported during the process. If it is the case, then refer to the Possible Errors and Fixes section below to troubleshoot your issue. Once you have progressed through all branches and tags, you are done. If you take a look at your GitHub project’s page, you should see that the trunk, branches, tags and commits are now properly imported into that project. There are a few things that can go wrong while trying to migrate your project(s). While running the svn2git application, the process may finish prematurely. If you check the output, you may see that it can’t find the match for an author. What you will have to do is to add that author to your authors file and re-run svn2git. Otherwise you won’t be able to fully migrate the project. I’m not quite sure why these minor glitches occurred during my initial migrate, but with the simple fixes above you should be good to go. Excellent guide! I’ve just migrated my Google Code project to GitHub using your article. Thank you very much! May I add that you can use the –verbose option in case of errors in the svn2git command. It will show what’s wrong. Happy to see that it has been helpful to you! Thanks for the suggestion, I just updated that blog post accordingly. Thanks for the guide, Frédérick! I successfully migrated my project with it. I had to add my GMail address to the authors.txt file twice, once with and once without the “@gmail.com”. P.S. you have a small typo: “branched and tags” should be “branches and tags”. Great to see that it worked flawlessly for you 🙂 You should enjoy GitHub pretty much; it is really a great product! Also thanks for the typo, now fixed. This guide is (unfortunatelly) very incomplete. It touches only the repository migration which, even though it’s very important, is only a 1/3rd of the story. More problems arise when migrating issues and wiki pages (the last one is probably the least surprising but still requires some work).